The new Timex Weekender watches bring an element of refinement and style to everyday watches. Timex is known for reliable, no nonsense, wristwatches that are sold for reasonable prices. The new Timex Weekender watches exemplify those sensibilities, but bring an element of refinement and style to everyday watches. Most of the Timex Weekender watches have a slightly preppy Northeastern look. 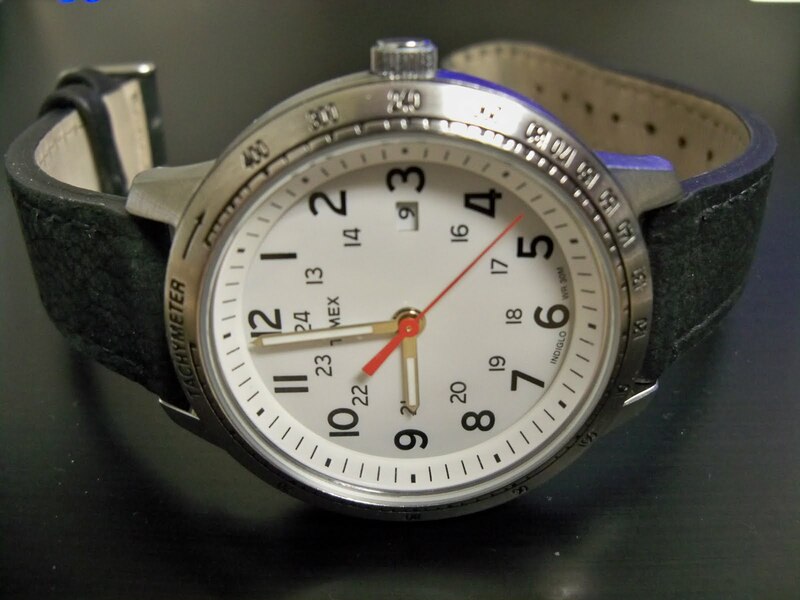 However, one version (model T2N638) has a leather band and tachymeter markings around the bezel. In terms of styling, this model lies somewhere between preppie-dom and more serious men's watches. At Target, this Timex is well-priced at $34.99. 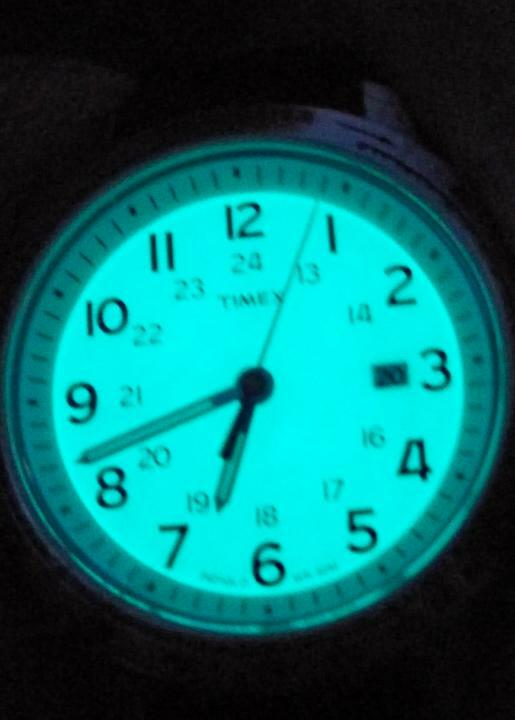 The face of this Timex is clean and white. It provides a strong contrast to the large black numerals that are traditionally placed at five minute intervals. Small but readable numerals (13 through 24) set inside the primary numerals aid in keeping military time in accordance to the 24 hour clock. The 15 on the military dial has been replaced by a small window that reveals the date in the same font. Timex keeps the fact that you need help remembering the date a private matter between you and your wristwatch. This watch is easy to read without being an "easy reader." On a daily basis, this Timex Weekender is a practical watch. The crown pulls out to two positions: one for setting the date and the other for setting the time. It is a small touch, but it sure beats manually rotating the hands through about 60 revolutions to set the date. The leather band is comfortable, but a little narrow for my tastes with 18mm lugs and a tapering shape. The narrow leather band allows the watch to rotate a little on my wrist. I'm debating whether to replace the leather band with a more secure canvas or black rubber variety. My wrists are a little less than 8 and a 1/2 inches in diameter and I had 2 more holes available on the band. Since I was unable to reach 400 miles per hour on a public highway, I was unable to fully test the tachymeter. Basically, small markings on the bezel allow the wearer to measure how fast they are going. To use, you wait until the second hand reaches 12 o'clock and pull the crown. Then you travel to a measured mile and push the crown in when you pass the marker beginning the mile. When you've travelled to the end marker for the mile, you pull the crown again. The second hand will line up with markings on the bezel to indicate your speed. For example, a mile in 45 seconds minute is 80 miles per hour. If your family car is really fast, a 9 second mile is 400 miles per hour. Overall, the tachymeter version of the Timex Weekender is an affordable, practical, and stylish watch.